The primary goal of PURE Yoga Institute’s nine-week Teacher Training is to prepare you to teach an energetic and dynamic 90-minute Original Hot Yoga class. Our curriculum consists of 500+ hours of practice and study and will prepare you to be an effective teacher at your home/mentoring studio. 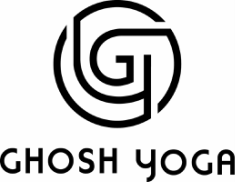 Our secondary goal is to ensure that trainees are equipped to achieve the Original Hot Yoga Association standards for enrollment as a Level 1 Original Hot Yoga Teacher, which requires a minimum of 75 classes taught under a mentoring studio and six months of post-graduation work experience. Achieving this goal requires a commitment to post-training coaching and development by the mentoring studio with the support of PURE Yoga Institute’s resources for continuing education. Power of concentration, useful for rote memorization of posture instructions. Determination to succeed and to never give up! Patience and understanding of others, including fellow trainees, students, and staff. Willingness to resolve any conflicts in a mature and compassionate manner. Eagerness to receive and incorporate feedback and suggestions during and after training. While job placement is not guaranteed after training, PURE Yoga Institute will work with the trainee to reach the skills necessary to be employed by their mentoring studio. This depends heavily on the trainee’s ability to memorize class dialogue and to exercise self-discipline throughout the duration of the rigorous training program. We believe that the Original Hot Yoga is a powerful therapeutic system of yoga. We cultivate the unique strengths and talents of every leader, teacher, and trainee. We seek input and ideas from other leaders in the Original Hot Yoga community. We are both disciplined and compassionate. We hold every aspect of our training to the highest standards possible.